Apparently I didn’t have any, but I wanted to take up taekwon-do and learn French, which I didn’t. In 2011 I want to read 50 books, of which 20 should be in print. I want to finish the second draft of Livet til ein oslostudent and the first draft of Aasens arving. USA, Scotland, Portugal, Spain, England (ish, Guernsey), France. Willpower. So that I can do all the marvellous things I want and should. Routines. 7. What date from 2010 will remain etched upon your memory and why? August 2, maybe, starting work. September 4-ish, Guri. Passing all my classes. San Francisco. France. Sniffles, snuffles, feeling pretty bad at times. Nothing serious, I think. Guri. MacBook Pro. Plane tickets (San Francisco). Doctor Who Magazine subscription. 12.1 Who kept you sane the most? No comment. (as I doubt the premise for the question) Guri. 12.2 Who made you laugh the most? Any song about San Francisco? I don’t think any. What I was supposed to. Study. Write. Travel. Work. 20. How was Christmas spent? Home to Asker evening of the 23rd. Long walk with Guri on Christmas Eve morning, driving to Bekkestua with presents. Going to graveyards with Mamma and Bestemor. Risgraut. Tre nøtter til Askepott. Pinnekjøt. Gåver. 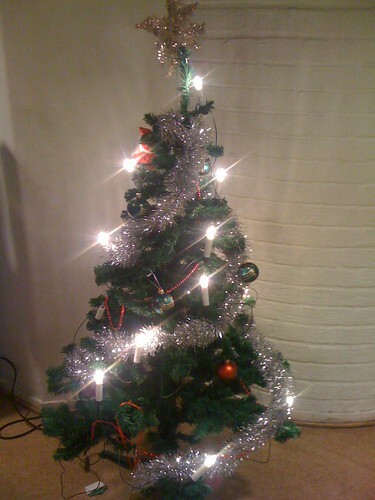 Familiefrukost hjå Bestemor 1. juledag. Skulle eigentleg heim (Oslo) den kvelden, drog til Asker og drog heim dagen etter. Doctor Who (A Christmas Carol) Monday 27th. Got ill that Tuesday. Did various social things that week (had taken the week off). New Year’s Party at Ingeborg’s, left to come back to Oslo a little before midnight. 21. How many one night stands? 22. What was your favorite TV program(s)? 23. Do you hate anyone now that you didn’t hate this time last year? Maybe irritated at some. The Lace Reader (Brunonia Barry) was a surprisingly good find. Våre venner kinesarane (Are Kalvø) var gøy. Cressida Cowell’s dragon books, read by David Tennant. Sherlock Holmes. Good Omens (Terry Pratchett & Neil Gaiman) is always good. Evelyn Evelyn. Re-discovery of Hair music. 26. What did you want and got? 27. What did you want and didn’t get? Material things? New iPhone, because I don’t actually need one. Målferd and calligraphy class, according to my calendar. Isn’t this much the same as question 12.1? 33. Which celebrity did you fancy the most? Matt Smith. Matt Smith Matt Smith. Matt Smith Matt Smith Matt Smith Matt Smith Matt Smith Matt Smith Matt Smith Matt Smith Matt Smith Matt Smith. Ehrm? Travel! Get that dog! I går var det julepynting på kontoret. 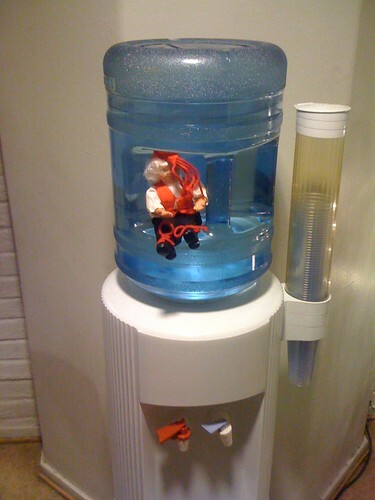 Når me møtest ved “watercooleren” må me òg ha julepynt. Eg tenkte eg kanskje skulle lage ein liten julekalender. Kanskje eg får skrive litt på bloggen, for ein gongs skuld. Så, ein godbit kvar dag. Biletet er henta frå BBC.